This post is dedicated to Mirza Ghalib and his fans. A recent visit to Mirza Ghalib’s Haveli in Gali Qasim Jan, Ballimaran, near Chandni Chowk in Old Delhi took me back to centuries and to an era when poets ruled hearts of people, while the Emperors struggled to save their fading glory. Then came the still fresh in my memory TV Serial on Mirza Ghalib where Naseeruddin Shah brought him to life on the small screen while ghazal maestro Jagjit Singh rendered his honey smooth voice to the poetry of the best known Urdu poet of all time. But Ghalib was not always popular, his career as a poet started with a lot of struggle for acceptance. Let me give my personal understanding of Ghalib’ life here that I remember from the TV serial and tales heard from some old Dilliwalas. Take it or leave it but this is desi version of Mirza Ghalib’s life and time, simplified for the times of storytelling in 140 characters. Ghalib was the quintessential outsider, the migrant who moved to Delhi, Ghalib whose ancestors descended from Aibak Turks, moved to India from Samarkand. But Ghalib was born in Agra, that town abandoned by Shahjahan in favor of the new capital that we know today as Old Delhi. This was the age of decline of Mughal Empire desperately trying to cling to its earlier glory by holding mushairas (Poetic discourses) within the four walls of the red fort, beyond whose boundaries the diktat of the last Mughal Bhadaur Shah Zafar lost all vigor. Ghalib comfortable with the emerging lingua franca Urdu, had to learn court language Persian but always felt more at home in the language of the man on the street. All his attempts to mingle with the debonair but fast decaying Dilli Durbar failed for Urdu was not considered to be a language of the elite. But what was rejected by the coterie in the Mughal court was gulped down by masses thirsty for poetry penned in their language. Hence while his contemporaries were busy looking for alms from the bankrupt Emperor, Ghaib will sit with his gambling and drinking buddies and recite his poetry to anyone who cared. And cared they did, soon his ghazals ruled the hearts of Dilliwalas and Ghalib which means – all-conquering, superior, most excellent, no longer needed court’s nod to validate his stature as a poet. While the Mughals soon lost the last vestiges of their throne and the last Mughal Bahadur Shah Zafar was banished to Burma, Ghalib’s ghazals were soon heard in every nook and corner of Delhi from the Kothas of Natch Girls to the mehfils in the Kothis of the nobles who had nothing better to do than remember the good old days and recite to poetry. The golden age of the once mighty Mughals was gone forever, but the golden age of Urdu poetry has arrived. Just as the Mughal empire was declining Urdu poets like Mohammad Ibrahim Zauq and Ghalib were taking center stage outside of the court and reaching out to the people on the streets. 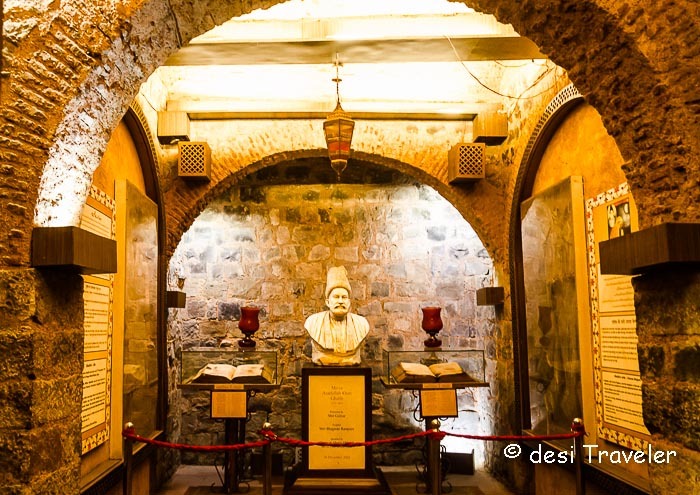 Long gone are the Mughals, the British and others who tried to rule Delhi, but the favorite poet of Delhi- Mirza Asadullah Baig Khan- Ghalib continues to rule the public imagination and his former home is now a pilgrimage point for connoisseurs of Urdu Poetry. During a photo walk in Chandni Chowk, I visited the narrow lanes of Ballimaran where Mirza Ghalib once lived. 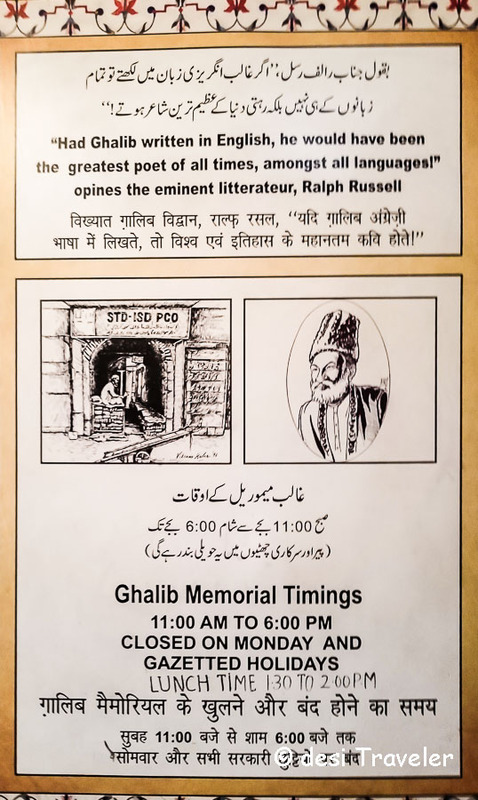 His former home’s ground floor in Gali Qasim Jan in Ballimaran is now restored as a Ghalib Memorial and is open to visitors from 11 am to 6 pm on all days except Monday and Gazetted Holidays. 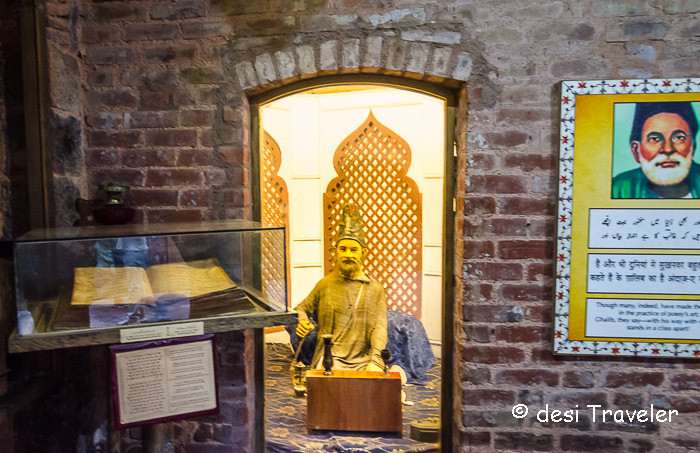 The Ghalib memorial houses some artifacts from that era, a bust of Ghalib, and Mirza Ghalib looks at you from the walls. 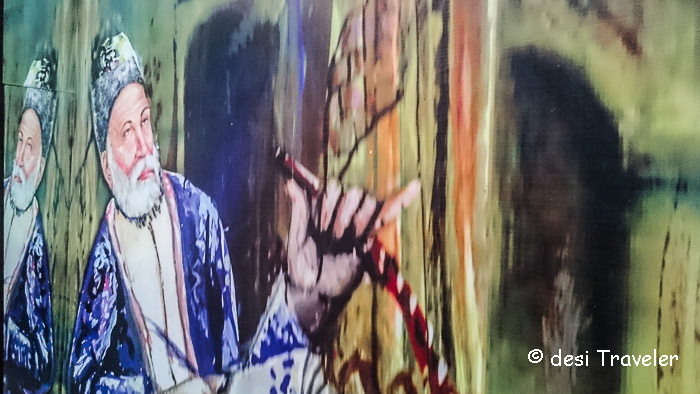 In today’s selfie-obsessed world a few visitors were seen clicking themselves with Mirza Ghalib. 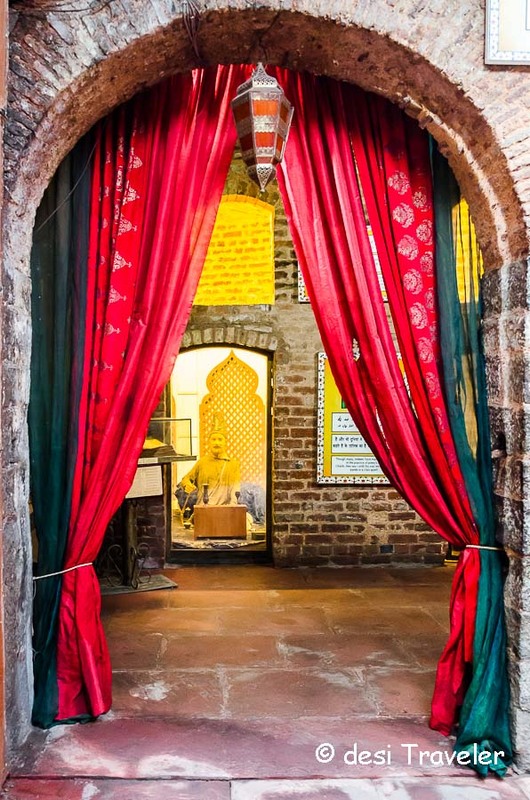 The old haveli of Ghalib is now decked in colorful drapery and chandeliers to recreate the era of Mughals when noblemen would sit together and listen to poetry when not busy with wars. I have missed Haveli of Mirza Ghalib during my past photo walks in Chandni Chowk in Old Delhi, but this time I was determined to not miss this historically important building. Not only for poetry connoisseurs but anybody interested in the heritage of Delhi should visit Mirza Ghalib Ki Haveli in Gali Qasim Jan (a distant relative of Mirza Ghalib by marriage) in Ballimaran. Well I am not qualified to translate this for you but still try to summarize how to find Mirza Ghalib’s Haveli in Ballimaran. Opposite the wood shop ( Taal ) people talk about partridge games (Partridge fights was a popular time pass in those days). Phew!! Well that was quite a brain twister for me, but you get the gist. Though to be totally fair to Ballimaran, the Ghalib Ki Haveli is not actually in a very dark lane but on a major artery and the outside is very well-lit. On the other hand I found the interiors of the Ghalib Ki Haveli very dimly lit even with a sunroof letting in some direct light from the top. But the caretaker at the haveli switched on the light and we could see around the haveli. You find his couplets written on the walls along with his portrait. Even with all the colorful drapery around you, somehow I could feel the pain and gloominess that you find regularly in Ghalib’s poetry. I wanted to spend some more time at the Haveli to take some more pictures, but had to respect the group and leave. 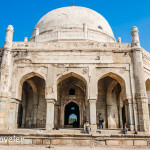 But I am sure I will return again and soak in the era that the Archeological Survey of India has tried to create in the former home of Delhi’s favorite poet. Finally before I end this post enjoy some of his poem and in his own words the reason for his fame. At no point did Ghalib tried to hide his pain and his chosen life/lifestyle to drown his pain due to loss of his children, his struggle to be accepted ( at-least in initial days before he became famous) by the Mughal Court. Kehte hain ke ghalib ka hai andaaz-e-bayaan aur. Shayar to who achha hai, mager badnaam bahut hai. (Is there anyone who isn’t aware of Ghalib? He is a good poet, but pretty infamous). 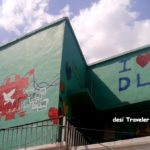 Dear Readers, if you are in Chandni Chowk in Old Delhi, do visit the former home of the beloved poet of Delhi, who started as an outsider but slowly captured the imagination of not only Delhi but the Indian Subcontinent and even today is the most read, quoted, recited and blogged about Urdu poet from India. Haveli Dharampura a Heritage Haveli Hotel in Old Delhi, with excellent view of Jama Masjid of Delhi and Red Fort from roof top. They also have 13 well done room if you want to stay in a Heritage Haveli of Old Delhi. What an evocative post! Pure gold it was to read the shayris of Ghalib with accompanied photographs of his former home. 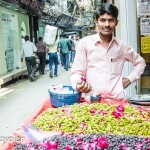 Sigh, I have been guilty of tasting the local delights when in Chandni Chowk in Delhi. Definitely this winter, I shall walk to this place! After going through this post, I have made up my mind to def visit Ghalib’s haveli on my next trip to Chandni Chowk. I love going there. 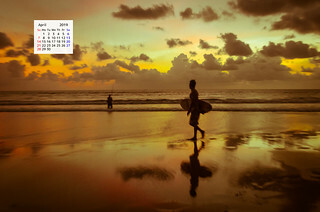 Hi Priyanka: Welcome to desi Traveler. I am glad you want to visit “Mirza Ghalib Kee Haveli”, do share your experience of the visit. Wow.. such a nice recount. I have been to Delhi so many times but have never really been a fan of the city. 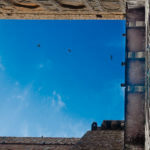 I guess, it is time for me to visit the city with a new set of eyes, new perspective. I listen to Ghalib’s poetry in Gulzaar saab’s voice morning to evening while at work, 4 out of 5 working days at-least. Ghalib’s haveli and Ballimaaran ki galiyan are the places I really want to walk and see. Jopefully the next time I am in Delhi! Thank you sir, that would be awesome. Would sure ping you next time I am there. Feeling quite content seeing the realistic images. Well…mesmorising! !… Very nice story on this poet… if I ever want to go to Delhi I am sure you can provide information, where to go and how and things… and also details about tiger survey, lots of tiger awareness is there in your blogs. Goodday… yes the poet really captured the heart and fancies of people. the haveli is really beautiful and one of its kind.. I missed the chance to visit it ,hope I can be there soon and see the rare beauty and have the pleasure to hold memories of such a wonderful place. There is something about visiting a place where a poet/writer lived and seeing where he sat down to write and wondering what effect that atmosphere must have had. Great tour of the haveli. I never visited there but heard many times about this. Thanks a lot for this lovely pilgrimage. Hi. This is an excellent post and your entire blog is very engaging and informative. We at Ivyclique are looking for writers like you to contribute to our site and grow our network of like-minded bloggers. Ivyclique is India’s first user generated content sharing and publishing platform that has over 80 high visibility areas of interest. We invite writers from all over the World Wide Web to share their ideas and thoughts on various topics through our platform. Check us out at Ivyclique.in and log on to get started. We hope to see you there! I love this post Prasad…wish I could have also joined in like Mridula did! thanks for the detailed post on Ghalib. I look forward to visiting this place. If you can get past the chaos and madness of Chandni Chowk, there’s no place like it. Every gaali, every haveli has a story to tell. Thanks Archana, will sure check it out.. Beautifully said. What a great poet, what a great tribute. It was a wonderful walk. Thank you! It was fun to do this walk with all of you. And yes, I too want to go back! I have faded memories of that serial. Thanks for sharing this info. I have to visit this place when I am in Delhi. 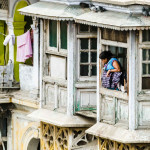 This is amazing post, I loved it so much, this is my dream to visit Haveli of Mirza Ghalib Sahab, and these beautiful pictures takes me more closer to this wonderful poet. Thanks a lot for share.